After the Samsung Galaxy Fold, the Samsung Galaxy S10 5G is the manufacturer's most ambitious phone. We're talking about a 6.7-inch display screen, a quad-camera setup in back, a 4500mAh battery and the Snapdragon 855 Mobile Platform under the hood. In the U.S., Verizon will get it first and the carrier has put up a page where you can register to receive future updates. 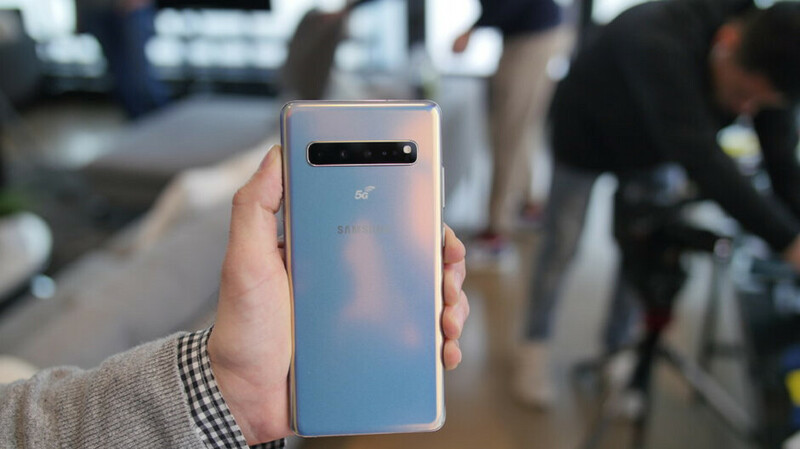 While Verizon is supposed to have the phone available sometime next quarter, the Galaxy S10 5G will launch first in Samsung's back yard; South Korea will reportedly be the first country to get the handset according to Engadget, which cites those familiar with Sammy's plans. This is expected to take place in April. The Galaxy Fold is also set to debut the same month, on April 26th. There is no point in buying a 5G phone without your carrier offering a mobile 5G service. Verizon is expected to launch mobile 5G in 30 cities during the first half of 2019. AT&T has 5G service running in Atlanta, Charlotte, N.C., Dallas, Houston, Indianapolis, Jacksonville, Fla., Louisville, Ky., Oklahoma City, New Orleans, Raleigh, N.C., San Antonio and Waco, Texas. In the first half of this year, AT&T will add 5G in Chicago, Las Vegas, Los Angeles, Minneapolis Nashville, Orlando, San Diego, San Francisco and San Jose. In May, Sprint will debut 5G in Chicago, Atlanta, Dallas and Kansas City, Missouri. T-Mobile yesterday announced that its 5G launch in 30 cities will be delayed until the second half of this year. After a short period of time as a Verizon exclusive, the Samsung Galaxy S10 5G will be offered by the other three major U.S. carriers. Actual launch dates for the phone are unknown. 5G won't reach the Caribbean for now but I'd still buy that beast! Phone Arena needs to write an article in response to the article published by "Insider" which indicated that the Galaxy S10 5G phone will be "left in the past" as soon as the networks switch over to using a different spectrum in 2020. They say that the S10 5G cannot make the switch and will be rendered useless. The article says that "most people probably shouldn't buy it if they want a long-term smartphone with 5G". The article suggests waiting until phones come out with Qualcomm's X55 model later this year which will support sub-6GHz 5G networks and millimeter wave. If this is true, people sure need to know about it!